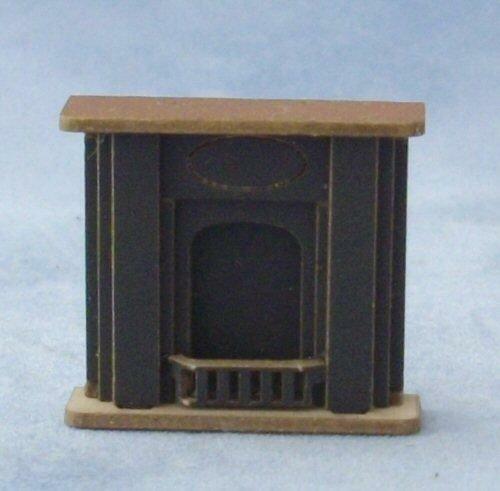 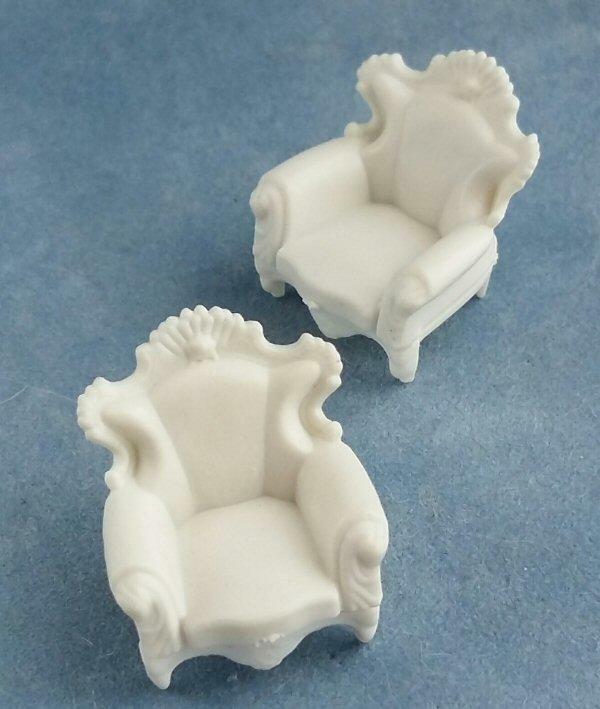 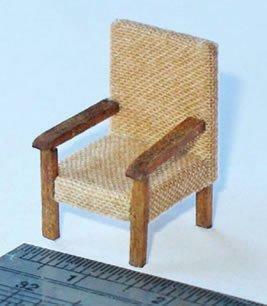 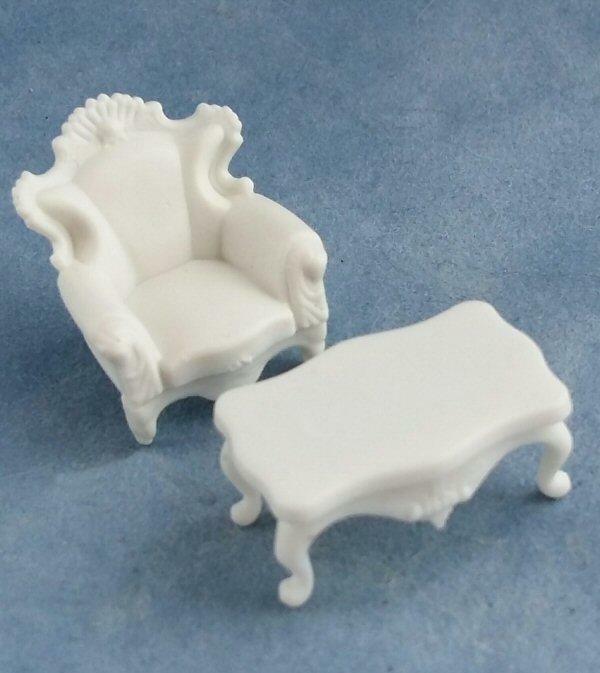 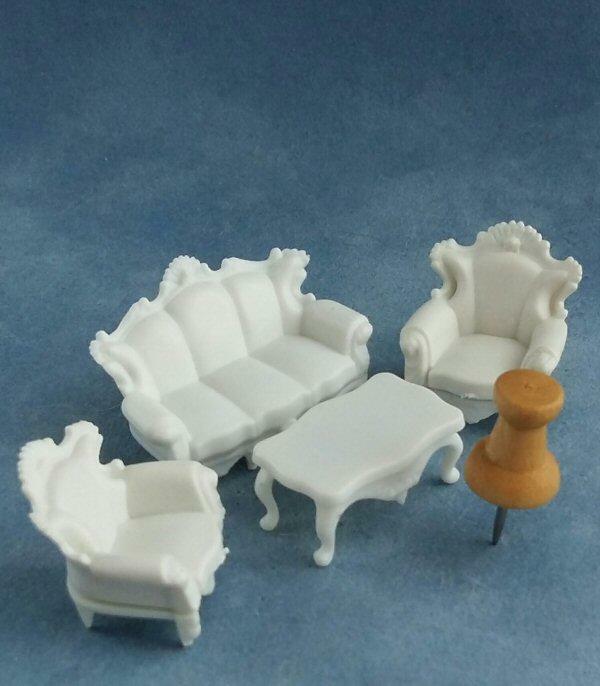 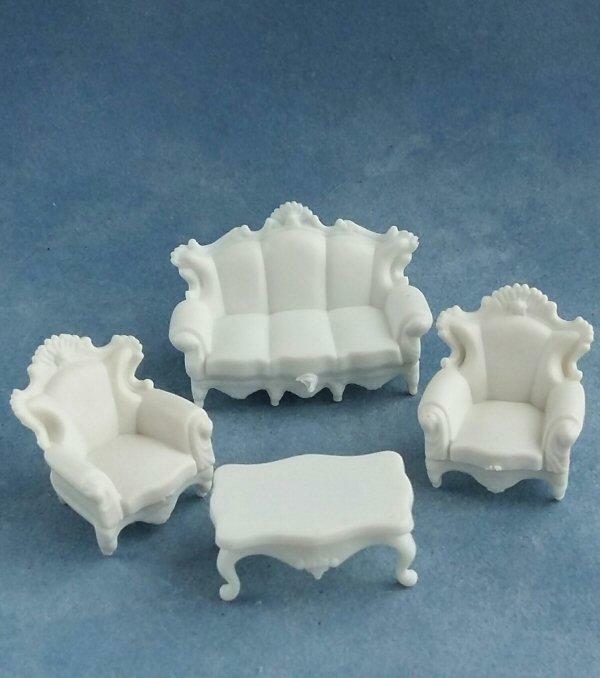 1/24th scale miniature sofa, 2 arm chairs and a table. 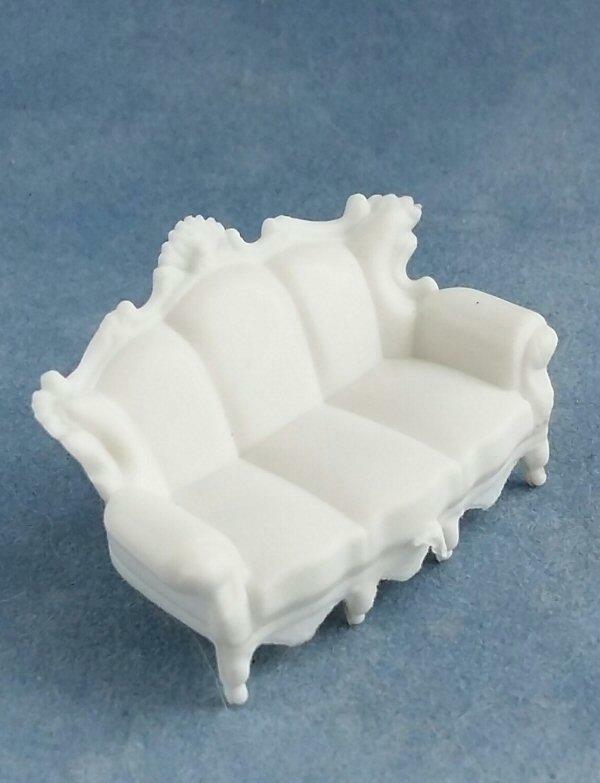 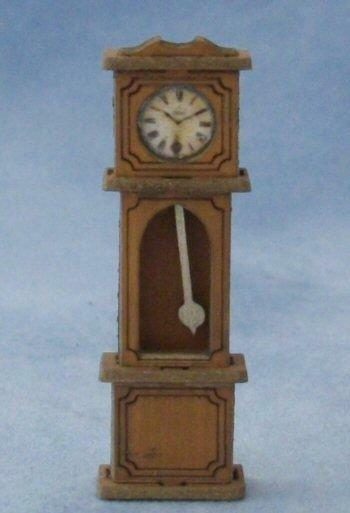 Cast in plastic with lovely detailed areas. 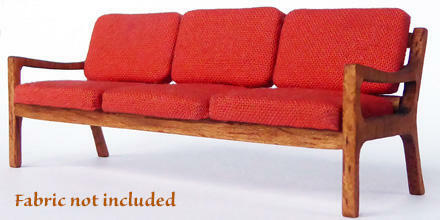 Will need finishing, painting, flocking, covering in fabric or whatever you wish to do to finish them off.